June 2018 – We are raising money for Alex’s Lemonade Stand! You can help us reach our goal by visiting our office during the month of June to enjoy a cold glass of Lemonade for a donation! It all started with one front yard lemonade stand. When she was just four-years-old, Alex held her first childhood cancer fundraiser in her front yard and raised over $2,000. 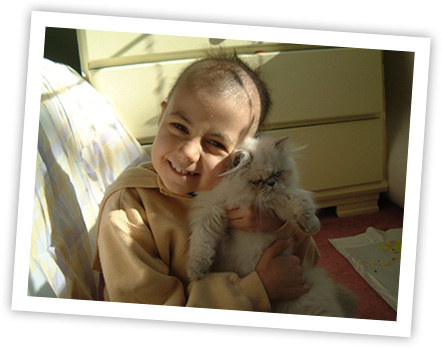 By the time of her death in 2004, Alex raised $1 million and inspired a legacy of hope and cures for childhood cancer. On her first birthday, the doctors informed Alex’s parents that if she beat her cancer it was doubtful that she would ever walk again. Just two weeks later, Alex slightly moved her leg at her parents’ request to kick. This was the first indication of who she would turn out to be — a determined, courageous, confident and inspiring child with big dreams and big accomplishments. While bravely battling her own cancer, Alex and her family continued to hold yearly lemonade stands in their front yard to benefit childhood cancer research. News spread of the remarkable sick child dedicated to helping other sick children. People from all over the world, moved by her story, held their own lemonade stands and donated the proceeds to Alex and her cause. In August of 2004, Alex passed away at the age of eight, knowing that, with the help of others, she had raised more than $1 million to help find a cure for the disease that took her life. Alex’s family — including brothers Patrick, Eddie and Joey — and supporters around the world are committed to continuing her inspiring legacy through Alex’s Lemonade Stand Foundation. As an organization, we aspire to and believe in – Making a Difference "Community Service Brochure"